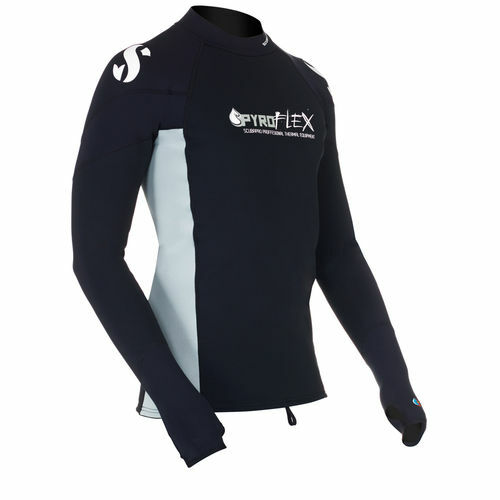 PYROFLEX 1.5mm long sleeve rash guards don’t just provide protection from scrapes and stings, they provide bona fide thermal protection with a revolutionary design and high-tech materials ideal for tropical diving, snorkeling or pool training. Made with special water-repellant, high-stretch Everflex X-Foam neoprene on the outside and a combination of fleece and plush on the inside, these tops offer warmth, comfort and lots of range of motion, plus they dry quickly. 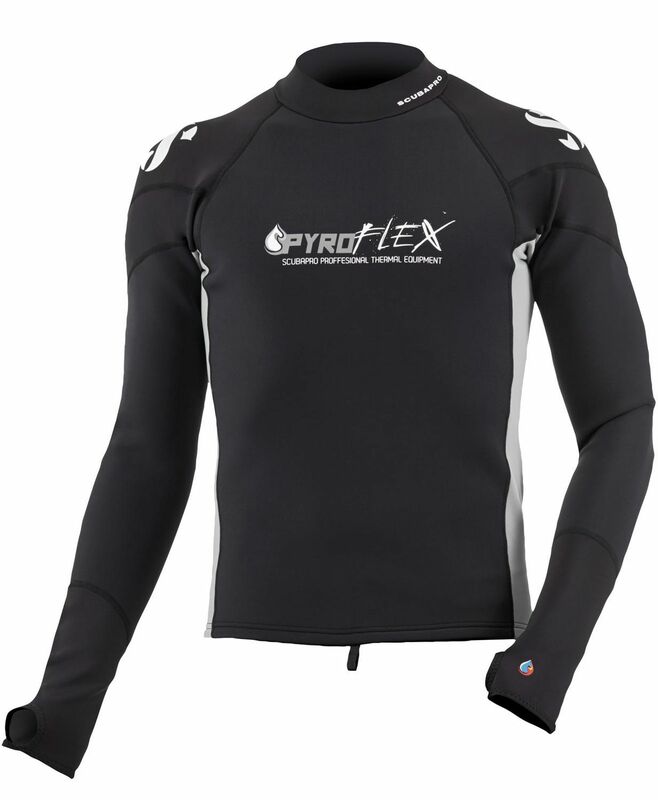 PYROFLEX rash guards help keep divers and snorkelers warm when spending long periods of time in the water, and they are also great for layering.